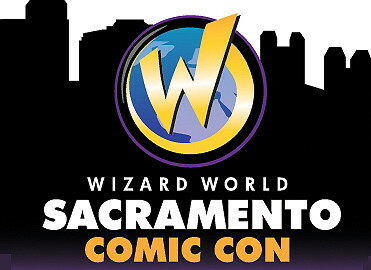 For the past three years, Wizard World has been making a stop in Sacramento during Father's Day weekend. To some, it has become a tradition in that short period of time. For others, it is their first taste of Pop Culture gathering. Although it only comes to Northern California once a year, it definitely leaves lasting impressions on those that attend. The convention only takes up one exhibitor hall of the Sacramento Convention Center, but that doesn’t mean it isn’t packed with unique vendors, big time celebrities, and creative cosplay. Despite the blaring heat, there was still a lot of people who made it out to attend Wizard World Sacramento. There was a pretty good ratio of art dealers to regular dealers who sold things such as POP! Figures and retro toys. One dealer in particular was selling the super popular mystery item boxes that are always seen with people carrying around at conventions. $50 dollars on a mystery box that looked like a retro Gameboy guaranteed a total of f 18 items. It contained items such as a Ghostbusters lunch box, Dr. Who items, an Attack on Titan toy and other items such as a toddler’s garden gnome costume and a “Wendy’s” girl red wig. The items within are worth more than it is being sold and each box is unique. A major change from last year to this year is the elimination of the giant gaming center in the dead center of the exhibitor hall. This opened up for more variety and attracted a lot more vendors. The celebrity autograph/photo op area was right along the vendors. You were able to browse cool merchandize while walking right by top celebrities such as Val Kilmer, Kate Beckinsale, and Michael Rooker. Although attendees are not allowed to take any pictures of the celebrities without paying a fee it was still a kick to be in such close proximity to them. The cosplay scene was below normal. Perhaps the high temperature weather played a factor or the tightened security with prop weapons, which is very important whether you are a cosplayer or not. Never the less the people that braved the heat brought out their creative craft and were greeted with loving reactions from others. The costume contest had its hands full as the audience watched in awe with the creative things people made of their favorite fandom. If you got hungry and did not feel like venturing out into the heat for food, you didn’t have to go far. There was a min food area in the back corner of the hall with plenty of tables to sit and rest. The food was your typical convention food like hot dogs and nachos, but there was also kettle corn and iced coffee/smoothies. The Wizard World conventions travels all across the US, so if you get the chance I would definitely recommend that you check it out. They say that good things come in small packages and I believe this is true for Wizard World Sacramento.